If you’re currently looking for a reputable company that can offer you cost efficient new construction plumbing service in Hawaii, you’re on the right site. We are one of the few trusted plumber service companies in the country that provides customers with quality and affordable solutions for their plumbing problems. We are based in Oahu and Honolulu, Hawaii to offer convenient services to our local customers. With our 24-hour emergency service, you can expect for an immediate response to ensure that your plumbing issues are timely resolved. Our highly experienced and skilled plumbers perfectly understand how important it is to keep water systems leak-free. Hence, we are here to make sure that you get quality service in the most efficient way possible. When it comes to new construction plumbing, we can help you meet your commercial or residential plumbing needs and expectations. As your reliable contractor in Hawaii, it is our job to guarantee efficiency whenever we deliver a project. Through years of experience and excellence in this industry, our company has become a trusted name when dealing with new construction plumbing needs. Our professional plumbing team can serve as your sun-contractor for general services needed in managing your project. We can also assist you in getting you water system installed for your new home or office. It is our main goal to help you in the best way that we can so that you will be satisfied and happy with our service. If you have problems or plumbing needs, please feel free to contact us today and we’ll be glad to address your concerns. Whether you need custom plans for your specific requirements or you simply want design assistance, we’ve got you covered. Our residential plumbing services for new construction includes full house plumbing, planned builds, design builds, track homes, and custom homes. On the other hand, we also offer commercial plumbing such as tenant build-out and large commercial suite. Through our emergency response system, you are guaranteed to receive your needed service in no time! Once you’ve decided to work with us, you can save time and money with our expert plumbers. In fact, our new construction plumbing service offered in Hawaii is increasingly becoming popular among home owners and commercial owners. If you want a custom service, please don’t hesitate to call us so we can talk about the exact details you need for your new water system. You are sure to get affordable and reliable service from our professional plumbers. We always strive to finish every project on time so we can move on to another project that needs our expert service. With higher level of customer satisfaction, we continue to provide high quality solutions for your new construction plumbing needs. We actually love to give people the right assistance they need through personalized service. If you have questions and other related concerns, you can contact us right now and get additional information on how we work. 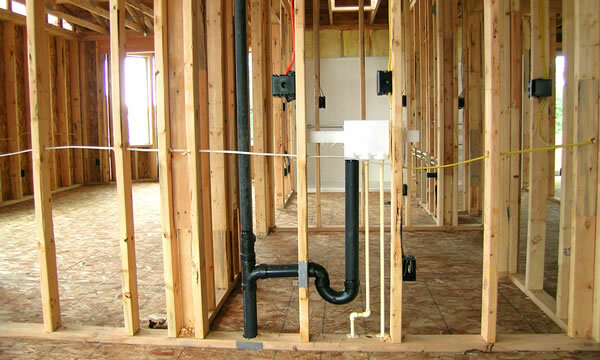 Together, let us build an excellent plumbing system for your new construction! Call us today at (808) 518-6808 for you Hawaii New Plumbing Construction needs and we'll give you a FREE ESTIMATE!